Peer-to-peer lender Harmoney has announced potentially substantial increases to its fee structure for lenders, effective from June 13. The new, much higher, fees will apply to just new amounts lent out and not to existing investments. The changes follow the restructuring of fees to borrowers in December 2015, at which time the company significantly reduced the Platform Fee for all borrowers. See here for previous articles about Harmoney. In a paragraph that was included in a newsletter to Harmoney investors today, but was not included in the press release the company sent out, Harmoney explicitly stated that at the time it reduced the platform fee for borrowers in December, it raised the interest rates charged them to compensate. "At that time we significantly reduced the Borrower Platform Fee, adjusting interest rates so, on average, borrowers paid around the same amount overall," Harmoney told its investors. And it is these higher interest rates that Harmoney is now charging borrowers that the company, in part, uses as an offsetting point for the much higher fees it's now going to charge lenders. For new loans made from June 13, 2016 Harmoney has removed its Service Fee (1.25% of the principal and interest payments collected on each repayment, including any repayment as a result of a rewritten loan). Instead a Lender Fee will be charged only on interest, and is charged on a sliding scale that recognises the amount lenders have invested through the platform – the greater the lending, the lower the fees. "The interest-only application of the Lender Fee means Harmoney has to keep delivering returns to receive this fee," the company says. That December change to borrowers' fees came against a backdrop of the Commerce Commission looking into whether fees charged by peer-to-peer (P2P) lenders are covered by the fees provisions of the Credit Contracts & Consumer Finance Act (CCCFA). Previously the platform fee for borrowers ranged from between 2% and 6% of the loan amount, based on the loan's risk grade. It was changed, without fanfare in December, to a one-off fee of $375. However, as the company has now disclosed, it raised the interest rates charged to borrowers to compensate. Now it has come up with the new fees structure for lenders. According to the example Harmoney itself gives of the new lending fee structure, somebody investing $15,000 for 36 months would potentially see their service fee paid increased by over 174% (its a nearly $1000 increase according to the example), assuming returns were as Harmoney outlines. Harmoney says the end result for the investor will be largely unchanged - because the interest rate charged to the borrower is going to be higher. However, the example given does show a slightly lower (21bps) rate of return than before the fee change. Harmoney founder and joint CEO Neil Roberts said that the changes were being made "in order to ensure the sustainability and longevity of the platform and maintain the value we deliver to Lenders and Borrowers". No recent detail of the company's financial performance is publicly available, but in the first 11 months of operation to March 2015 it lost $6.26 million. Roberts said the Harmoney platform was delivering returns to retail lenders that exceeded those originally targeted. "Retail lenders are enjoying an average Realised Annual Return (RAR) of 13.05%." Harmoney’s RAR has been published since December 2015 at a platform level, within the market statistics page, and as an individual return, within each lender’s dashboard. "Harmoney has the tenure and scale to provide an actual realised return with almost two years of tenure and $250 million in lending." processed more than 7,500,000 transactions. "Thousands of New Zealanders have contributed to its success, and the team will continue to work hard to justify the faith and support of those who use the platform," Roberts said. The fee works out to hundreds of percent more than their current fee on a loan, and in return investors get nothing extra in return. Smaller investors are also penalized by a higher charge than bigger investors, there is no justification for that. I will be making no further investments in this platform, as loans I have invested in are repaid I will be withdrawing the funds and reinvesting them in a good P2P lender. I guess you're saying hundreds of "a" percent. Even the revised article above mentions the huge spike in charges. The D, E and F would probably be charged off before you'd realise the full charges. That is a whole different kettle of fish, and not relevant to this discussion. However if the huge fee increase included loan repayment insurance (a product only available to Institutional Investors) then I could probably live with the huge jump in their fee. Did the comparison take into account the difference in interest rates. I ran a quick calculation on the B5 and it looks like a straight 20% on the new interest rate. Harmony are suggesting their fee is a tax write off (going to investigate this in the next month or so). That would mean the Grade B5 notes would gross 13.18% for the 16.48% face value. People need to make decisions about whether they think the effective gross interest rate is worth the risk. Also the likelihood of default is extremely important for unsecured lending. Is an F5 with an effective gross interest rate of 32% worth investing in if the default rate is 22%? At the old rates I favored higher risk loans, the return was worth it, sure some would get written off, but the return was good enough overall to cover it. Under the new pricing model the risk is not worth the reward, there are other places to invest (SquirrelMoney for example) that give me a good return with much lower risk than what Harmoney will be offering in future. I think you're making the right decision to leave in that case. "The D, E and F would probably be charged off before you'd realise the full charges." Either charged off, or paid off in full. ie. reissued as new loans at a lower rate of interest. The fees probably won't change significantly for me. The saving on rewritten loans will likely counter a proportion of it. They've been clipping the ticket on the rewrites while investors get nothing (and lose an active loan). The amount they take from interest is large but the previous fee was large anyway. I'll just have to see how this pans out. I will take time to work through this. With $22,000 in loans, I don't know how this will affect me, but what I can intuitively see is that there is possibly more penalty if I'm investing 10 x $100 instead of 1 x $1000. The fee structure is based on total principle so having $10k+ means that you pay 17.5% of the interest of any new loans after 13 June. The number of notes in each loan doesn't matter. I've run some quick calculations and for 17.5% it's likely that most won't be worse off (those under $10k might be on any new loans). Another point that just occurred to me, Harmoney's examples all use an example of an investor having 15k invested, when by their own stats a few months back the average for a retail investor was around 6k, so to be more realistic they should of used the higher fee rate. It would appear that the only winner here is Harmoney. I have an "average" retail investment and will be doing a few sums in the coming month to determine whether to start running my portfolio down. Think I might be joining you, but until I sit down and work it out for myself, won't make that decision. If the fee increases are as bad as indicated here, the business might be a dead duck. Not really sure what the fuss is about. After a quick look, assuming a loan is lent at 10%, the interest rate is 8.25%. It's not that oppressive and far easier for the lender. Currently with the 1.25% system of fees on principal and interest payments received, Harmoney is effectively charging me 7.65% of the gross interest i earn, driven higher by rewrites. Moving forward new loans will incur me 15% fees. If I had less invested the rate would be up to 20%. In round numbers this is between a doubling and tripling of fees depending on principal invested. The example they provided which seems to balance out this increase does not apply to A and B grade that did not increase interest rates last December and rely's on the proportionally higher rate increases moving down into the junk grades to achieve this illusion. Regardless of the impression created by the RAR numbers the simple fact is that fees have been grossly increased. None of the loans I am invested in have increased interest rates and my fees to Harmoney have doubled. I don't understand any of this. Is this a troll? Fair enough. Let's say you and big bird go to Mr Hoopers store with $5 pocket money. You buy an ice cream that usually costs $1 leaving $4 change. Today sadly Mr Hooper announces that ice creams are now $2. Disappointed he goes on to explain that if you can convince your parents to increase your pocket money to $6 you can buy an ice cream and still have $4 change. Mr hooper doubles his money but has no control over your parents it's merely a ploy to distract the less observant people in the neighbourhood. At least they have had the decency to not make the change retrospective. Any business that doubles it's prices overnight is cause for concern. Regardless of how the circumstances of your portfolio may externalise the losses is irrelevant, totally beyond their control and irresponsible to assert. Based on the information provided, the service is still valuable to me and the cost-benefit acceptable for my tolerance. That's as it should be and its something I will tolerate. Can you elaborate on what that cost has increased by in your case? Based on your posts this will be more burdensome on you than it is me but I don't have to be happy about it, good for you. There have been no increases to A and B grade interest rates so no offsetting income. Fees approximately double. What urks me even more is that fees are not charged on net income so they have little incentive to chase poor payers. Absolutely true. people need to remember they simply offer a service and the cost of the service has just doubled+. The fee links borrowers with lenders and facilitates collection. It's not harmoney generating the income it's our capital and our investment choices that yield our interest and us taking the risk. they provide no advice that value adds to the yields. 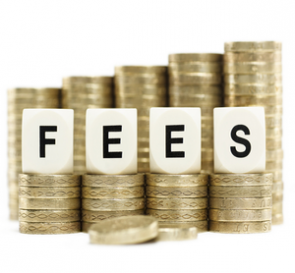 now they increase their fees but offer no additional value or share in the risk of default yet charge a fee more applicable to an agent or adviser. they lock in the gains on our gross profits with less incentive to protect our net profits. Finite mentioned their decency for not making the change retrospective but this is a bit generous, the original terms and conditions of those loans would preclude such a change. The solution I have to engage is that post June 13 I will have to keep two sets of records and for loans originated after that date I will avoid grades safer than A4 and dip a little deeper into the C grades to improve my RAR to claw back the costs of the new fee structure. Higher risk to me more money to Harmoney. Steering lenders into more risky loans grades that recently had their interest rates raised? Who wins in this scenario? Here's a final analogy. Gonzo and Jaycee rent a vehicle from the fictional company "hurts". This vehicle facilitates them in their business activities to drive around and to engage customers and grow a profit. Months pass and upon re-engaging the services of "hurts" they are now told that "hurts" not only recognises, but takes credit for the growth of their profits. Subsequently "hurts" now demands that due to their services "hurts" is entitled to an actual share of the profits based on the activities of Jaycee and gonzo who used their "vehicle" and that the agreement will be changed from a fee for service basis to a zero liability partnership entitling them to 15-20% of Jaycee and Gonzos profits. Sadly "hurts" has a monopoly so Gonzo and Jaycee have no alternative such as "Avus" or "Budgee". I used to be an enthusiastic Harmoney investor but became disillusioned with their rewrites policy - especially their practice of offering rewrites to customers who had demonstrated good repayment habits. Unsolicited rewrites seem to me to be unethical. When the fees changed I didn't take much time to calculate the actual costs to me, I just firmed in my resolve to run down my portfolio and maybe give Squirrel a go. I suppose the people who adopt my approach will be replaced by new lenders paying the increased fees so Harmoney will think that's ok, so long as there are not too many of us. The clever thing about Harmoney is its not really peer to peer lending at all. We are just there for window dressing and to make it look good. 75% of the lending is from "institutional investors", presumably that's code for US hedge funds. We are lucky to be allowed to eat at this privileged table, previously we were excluded. I must agree with you. I only invest in A grade loans and have built up a portfolio of 226, but I couldn't do that now, as there are so few on offer. I have told Harmoney that the substantial changes to their terms were not properly explained and have made me nervous. I have gone from being enthusiastic to very wary and have been withdrawing interest and capital as it has become available. Having said that, my RAR is almost 10% and I have had no defaults. As it always happen, a perfectly good cause gets hijacked by greedy buggers, whom soon enough turn it into their own private cash cow. This will make the banksters happy, eliminate competitors always does.